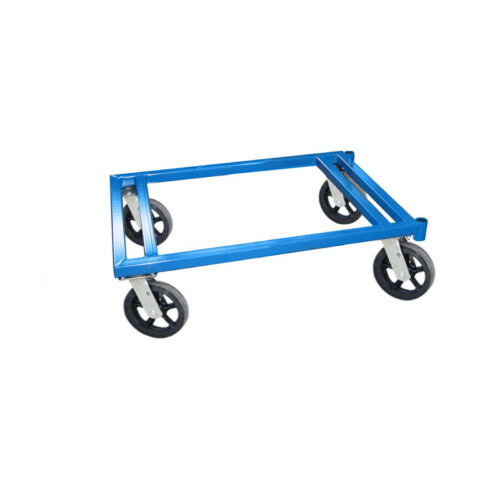 The WA series “A” Frame Cart is perfect for transporting drywall sheets, plywood, panels and steel. 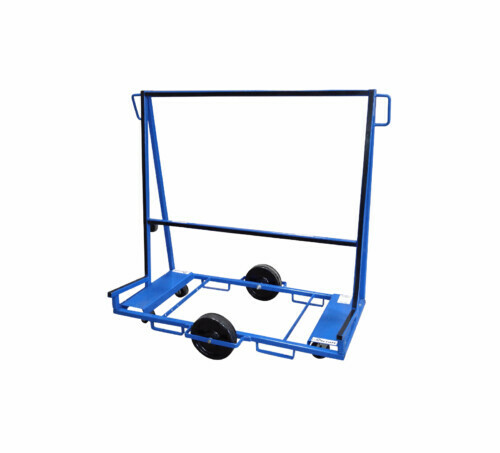 The WA series “A” Frame Cart is perfect for transporting drywall sheets, plywood, panels and steel. 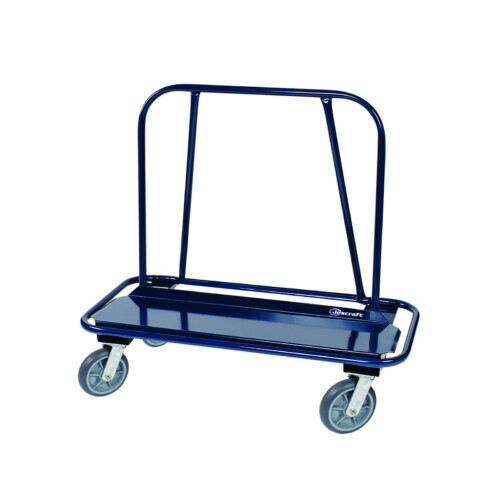 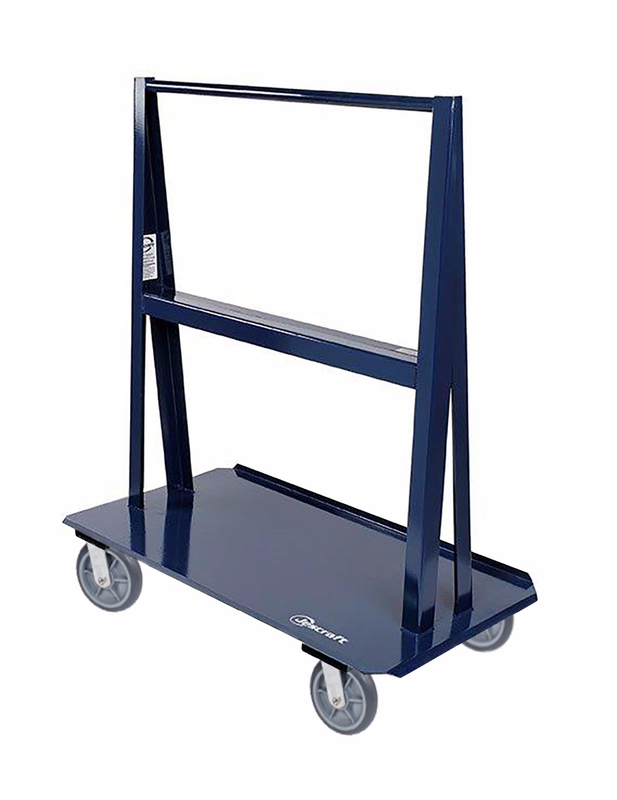 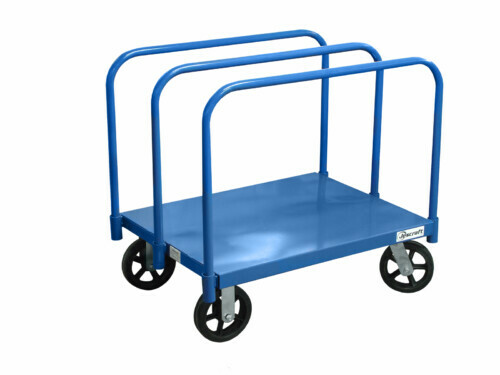 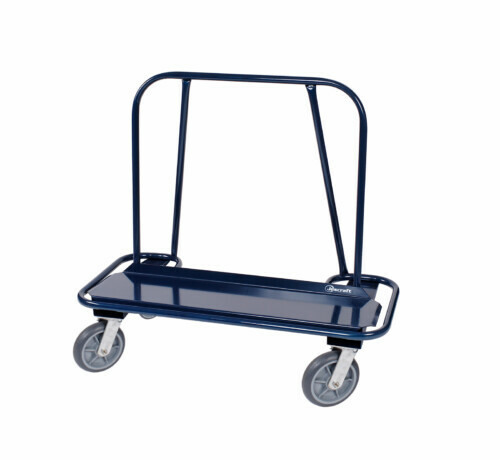 This cart is constructed of a 12 gauge steel deck ensuring strength and durability. Efficient double sided “A” frame rack allows material to be loaded on both sides. 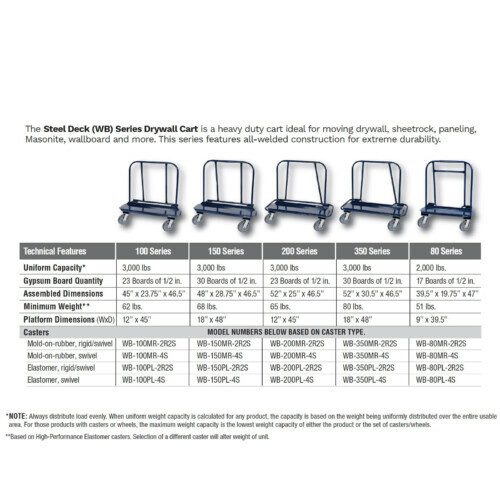 Various caster types and configurations available.